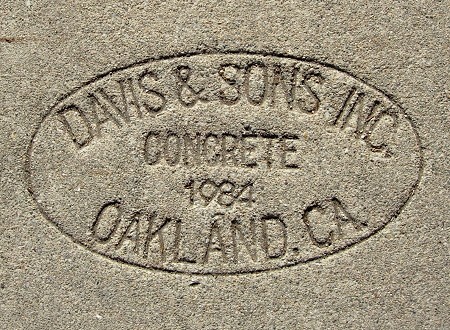 « 1968 – Apodaca Bros.
1984 – Davis & Sons Inc.
A very nicely preserved mark by Davis & Sons, from a time when not many contractors were using stamps. This entry was posted on 5 November 2014 at 12:03 am and is filed under 1984. You can follow any responses to this entry through the RSS 2.0 feed. You can skip to the end and leave a response. Pinging is currently not allowed.